What a crazy, fun, busy trip it has been! 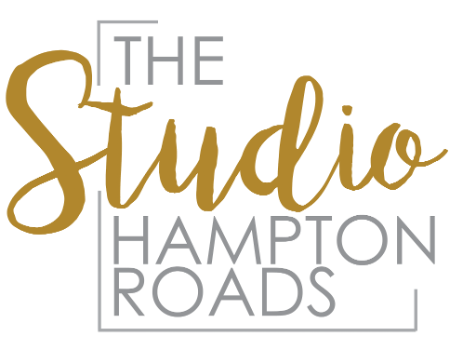 We are excited to share that Sami Fehling of Sami Roy Photography and Leah Wallace of Leah Ariel Photography are the new owners of The Studio Hampton Roads! If you haven't been by the studio recently, you may have seen some of the changes we have brought to it. Don't worry, our first goal is to uphold the comfortable, natural light setting the historic studio location has always maintained. When we first began talking about purchasing the studio, we were inspired by the comforting reaction one feels when they first walk into the studio. The warmth of the natural light coming in through the windows, the natural grain in the hardwood…it all brings focus to enlighten the photographer for their session. So, our goal was not to change this feeling but to embrace and enhance it. We are fully aware that a long road of challenges is ahead of us, but when you pour your heart into a project, job, career or business those challenges become opportunities to learn and grow, so really this is what we have to say to new challenges that will come our way: Welcome! So this is us, Sami & Leah, two girls that want nothing but to make a difference, to serve the Hampton Roads community, and grow with you! This has been an amazing experience for us so far, but we've only just begun! Finally, we would like to finish with a shout out to everybody that have been to The Studio before and even those who have been thinking about hosting their event with us but haven’t yet. We want to get to know you better! Don’t be a stranger, reach out to us if you have a special request, if you have questions or just to say hello and check what’s new. We encourage you to comment on our Facebook page and Instagram to keep in touch! Remember we are happy to help in any way we can. Be sure to follow us for more updates and changes we are introducing to The Studio!